PFLAG's logo is the key visual symbol that people recognize, know, and relate to our mission and history. The red heart represents parents, families, friends and allies, linked with the orange triangle, which represents the LGBTQ community. The yellow starburst represents the power of this united front to move equality forward. 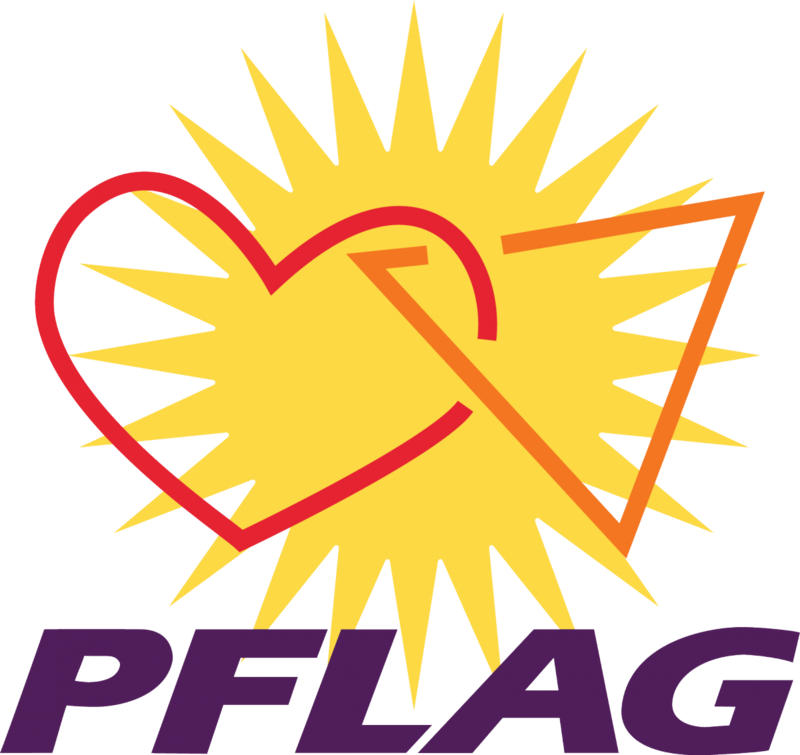 The current PFLAG logo debuted in December 2004, and should be used on all materials produced by chapters, members, and supporters. Below you will find the logo in a variety of file types suitable for print and online use, along with usage guidelines. You'll also find samples of how the logo can be used on different materials. If you need additional information on logo usage, please email Brooke Smith at bsmith@pflag.org. 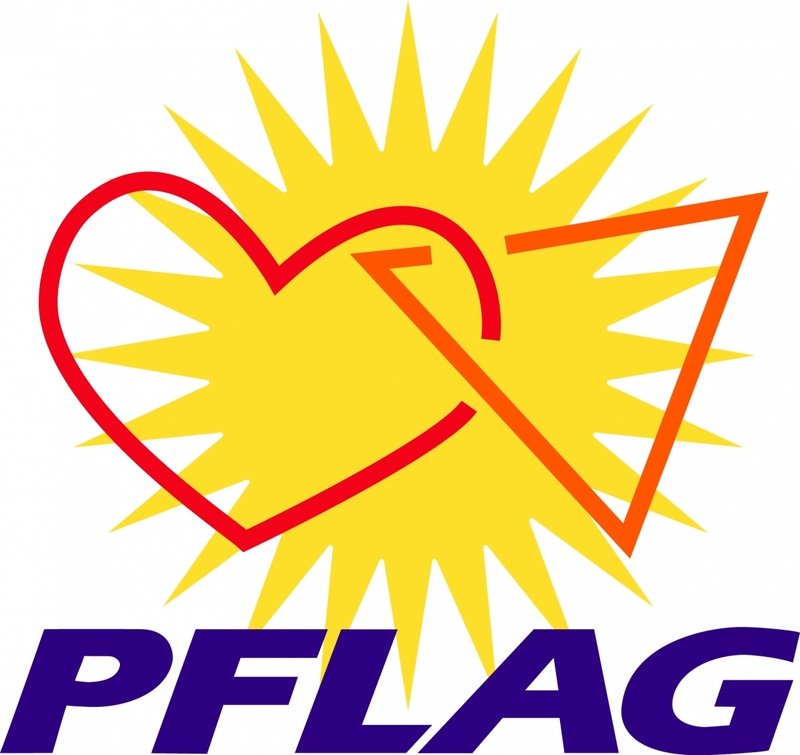 The PFLAG logo is not to be modified or altered in any way. Do not attempt to create or duplicate the logo. Use only the digital art provided on this website. Chapters: You may add your chapter name to the area below or alongside the logo as long as it does not alter the design of the actual logo art. You may resize the logo, but the height and width proportions must remain consistent. Do not add other graphic elements around or behind the the logo which would compromise visibility. You must use the official colors when reproducing the logo, whether multi-color or single color. Keeping the colors in the PFLAG logo is key to recognizing our brand. Below are guides for ensuring that your colors are consistent. Printers and print service providers will be able to assist you with details. When reproduced in a single color, the logo uses one Pantone color. On coated paper, use PMS 259C. On uncoated paper, use PMS 2602U. EPS Usage includes: printed materials; preferred file format, .eps graphics are resolution independent, use for high resolution needs (300 dpi or more). TIF Usage includes: Microsoft® PowerPoint®, Word; use when higher resolution is needed or for transparent background. JPG Usage includes: Web, email; 72dpi (do not use for printed materials); use on white background only. PNG Usage includes: Web, email; use on color background.